Keoladeo National Park (formerly known as Bharatpur Bird Sanctuary), in Bharatpur, Rajasthan, is inhabited by about 250 native and migratory bird species in a protected area which expands to 29 sq km. The largest Bird Reserve in India was declared as a protected sanctuary in the year 1971 and was included in UNESCO World Heritage Site list by the year 1985. Usually known also as Ghana Bird Sanctuary, the place is an abode to the migratory birds from distant counties every year on the onset of winters and stay there till it begins to feel hot, i.e. between November to March. One of the finest bird parks in the world, Bharatpur Bird Sanctuary is also a reserve that offers protection to faunal species as well. Keoladeo, the name derives from an ancient Hindu temple, devoted to Lord Shiva, which stands at the centre of the park. ‘Ghana’ means dense, referring to the thick forest, which used to cover the area. Nesting indigenous water- birds as well as migratory water birds and waterside birds, this sanctuary is also inhabited by Sambar, Chital, Nilgai and Boar. 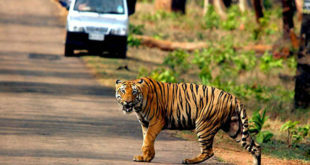 While many of India’s parks have been developed from the hunting preserves of princely India, Keoladeo, popularly known as Bharatpur Wildlife Sanctuary, is perhaps the only case where the habitat has been created by a maharaja. In earlier times, Bharatpur town used to be flooded regularly every monsoon. In 1760, an earthen dam (Ajan Dam) was constructed, to save the town, from this annual vagary of nature. The depression created by extraction of soil for the dam was cleared and this became the Bharatpur Lake. At the beginning of this century, this lake was developed, and was divided into several portions. A system of small dams, dykes, sluice gates, etc., was created to control water level in different sections. This became the hunting preserve of the Bharatpur royalty, and one of the best duck – shooting wetlands in the world. Hunting was prohibited by mid-60s. 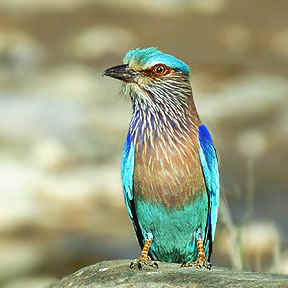 Keoladeo National Park is popularly known as “bird paradise”. At one time over 370 bird species have been recorded in the park. Ornithologically, the park assumes significance in two respects: One because of its strategic location as a staging ground for migratory waterfowl arriving in the Indian subcontinent before dispersing to various regions. Further waterfowl converge here before departing to breeding grounds in western Palearctic region. In addition, the wetland is a wintering area for massive congregations of waterfowl. It is also the only regular wintering area in India for the critically endangered Siberian crane. The park’s location in the Gangetic Plain makes it an unrivalled breeding site for herons, storks and cormorants, and an important wintering ground for large numbers of migrant ducks. Mammalian fauna of Keoladeo National Park is equally rich with 27 identified species. Nilgai , feral cattle, and chital deer are common while Sambar are few. Fish fauna of the park comprises 43 species, of which 37 enter the park along with the water from Ajan Bund, and six species are breeding residents. During a good rainy season the park receives around 65 million fish fry and fingerlings. The fish population and diversity are of high ecological importance as they form the food source of many birds. 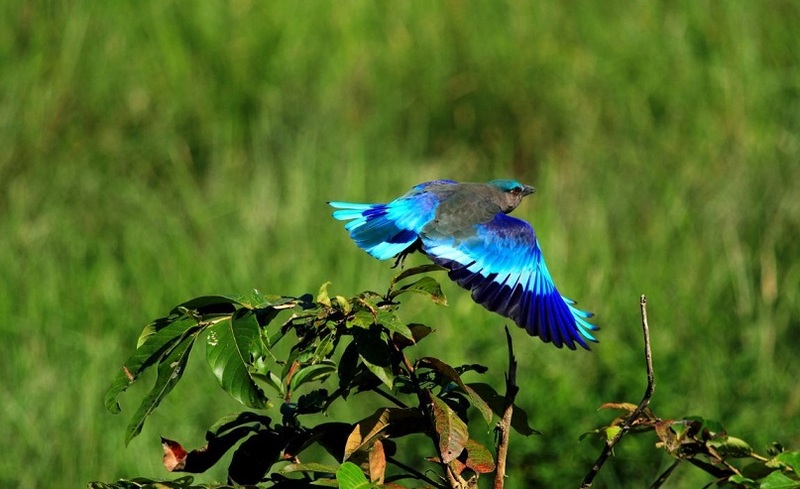 By virtue of being one of the best bird watching sites of Asia, more than 100,000 visitors come to the park every year. The range of visitors varies from very serious birdwatchers to school children. Of the visitors, 45,000 are foreign tourists. 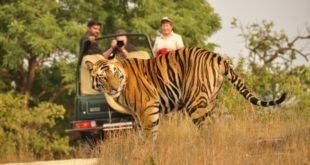 In addition the location of the park is such that tourists visiting Agra, Fatehpur Sikri and Jaipur invariably stop over at Bharatpur. The park opens from sunrise to sunset around the year. The ticket is Rs 200 per foreign visitors and Rs 50 for Indian visitors. Vehicles are permitted inside the park to a few meters say 250 meters, but you need to park them in the designated parking area for 100 Rs for a four-wheel vehicle. After this you can choose to walk, bicycle, or go by cycle rickshaw, Tonga or sometimes in boat when the water level is high. You can get these services at a reasonable fee. The rickshaw puller also acts as your guide who charges schedule fee of per hour. Similarly, you can also get cycles on hourly rent. Gents standard bicycle is available for Rs 25 and Ladies cycle is available for Rs 40. Do check that the bicycle is in good condition. For all services including parking you will have to pay and take a token from the counter at the main gate. There is no charge for taking a digital camera inside the park. The video camera attracts a certain charge. The only accommodation inside the Keoladeo National Park is available in the property of government Bharatpur Forest Lodge and lesser expensive Shanti Kutir, which is maintained and run by the ITDC. Bharatpur Forest Lodge is a quaint hotel in the vicinity of natural treasure trove of the park and has a total of 16 rooms to offer to visitors. Circuit house and Dak bungalow also offer good accommodation options. Visitors coming to Bharatpur can also stay in palaces, havelis and other heritage properties converted into hotels. It’s always advisable to have one’s accommodation pre-booked, especially so during winters. An array of 3 star hotels and resorts are also located in the vicinity of the park where visitors can stay cozily. 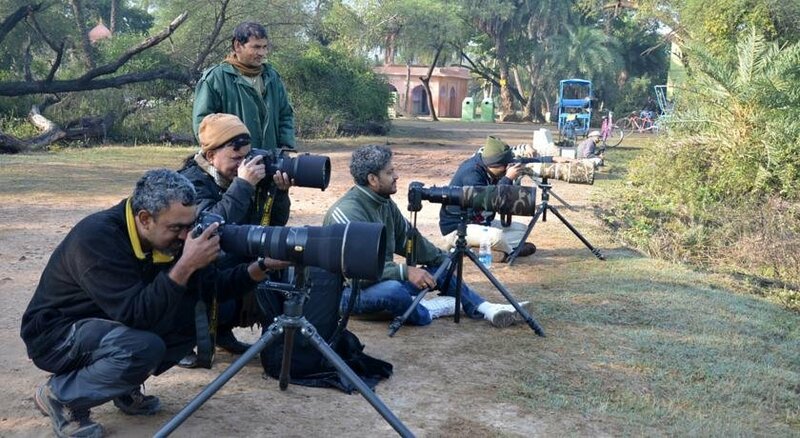 Besides the normal tourism activities and self arranged bird watching tours of the Keoladeo National Park, visitors can also opt for a tour of this birding destination by selecting from an array of luxury tourist train services. 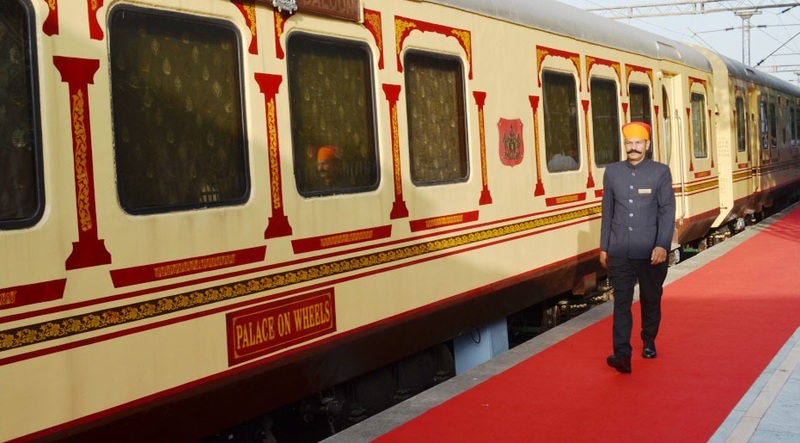 Luxury trains like Palace on Wheels include Bharatpur Bird Sanctuary in its tour itinerary. Hotels do supply packed lunches and you can get a bite at a canteen on the second gate and even at Forest Lodge but their stuffs are limited to some packaged wafers, biscuits and soft drinks etc. They may offer tea sometimes, but you do not know exactly. Here is an eyewitness account of a visitor about the bird sanctuary, “Take tonga or rick to enjoy it, cycles are also available. regular cyclist can enjoy but ppl for fun n adventure at the end would b completely tired! so better sit and enjoy the beauty rather than cycling or walking. also these rick pullers or tanga ppl are good at photography and also they would keep telling you the stories, nature, period of birds flowing in, there lifestyle evrythng, while cycling u wont get this free guide service!! Also try either dusk or dawn to enjoy it more. it took 4 hours to enjoy it although we saw evrything but photography point of view and birds flying sight; Dusk or dawn is best! Rickpullers and tanga pullers make sure that u c every bird! even though its in its hideout. 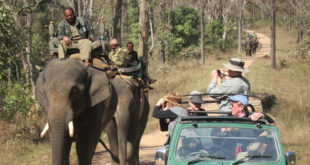 Bharatpur is easily reached by bus or train, also private cabs from New Delhi or Agra can be hired. The Park is pretty close to the bus stand and railway station. Agra, Delhi and Jaipur are the nearest airports for Bharatpur Bird Sanctuary. The nearest railway station is Bharatpur Junction which is 5 kms away. Bharatpur is well connected with other parts of the country by very fine roads. You can travel through your own vehicle too. Although there are regular buses are available from Agra, Delhi, Mathura, Jaipur, Alwar and neighboring. Visitors are advised to reach the gate half an hour in advance to complete the formalities for entry into the park. Wildlife Sanctuary is open throughout the year; still the ideal visiting months are from August-November for resident breeding birds and October- February for migrant birds.